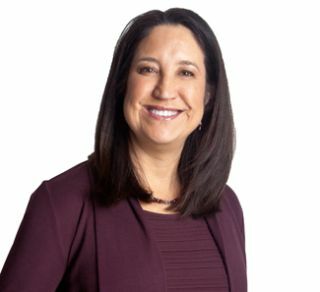 Listen Technologies Corporation, has promoted Maile L. Keone to the position of vice president of sales and marketing. Over the past two years, Keone has worked as Listen Technologies vice president of marketing, where she spearheaded new branding efforts for the company and helped launch several new products, including the acclaimed Listen WiFi systems, ListenIR line, and iDSP receivers. This appointment expands on Keone's previous duties, making her responsible for ensuring exceptional customer experience and serving as chief steward of the Listen brand. Keone is an entrepreneur and seasoned executive with broad experience in sales and marketing. She gained valuable work experience at WordPerfect and Novell, where she was part of the rapid growth of both companies. Her favorite marketing wins include product placement on "Good Morning America," in USA Today's Best Tech of 2006, and contributions to The Huffington Post. She has been named as one of 30 Women to Watch in Utah, selected multiple times as a v100 entrepreneur, and been recognized with the SBA Women in Business Champion award. In 2010, Keone was selected as the Utah Technology Council’s Marketing Executive of the Year. With a deep background in sales and marketing, Keone is known for mentoring and growing talented marketing and sales teams. “During Maile’s two years here at Listen Technologies, she has taken our marketing to a new level," said Listen's Russ Gentner. "In her new position, she will build an even tighter integration of sales and marketing as we continue to innovate and grow our business globally."